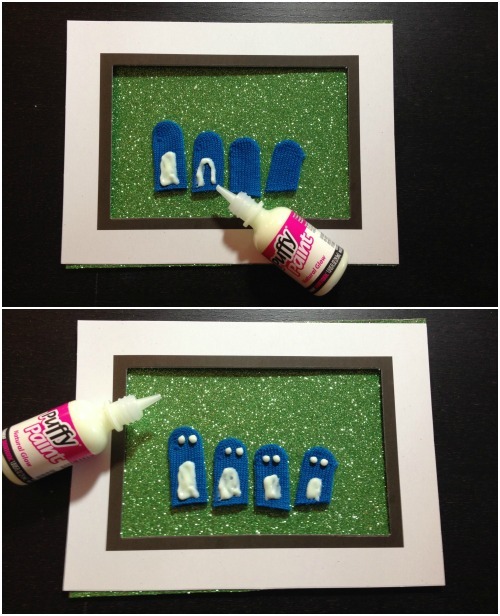 Need a cute project to make with the kiddos? 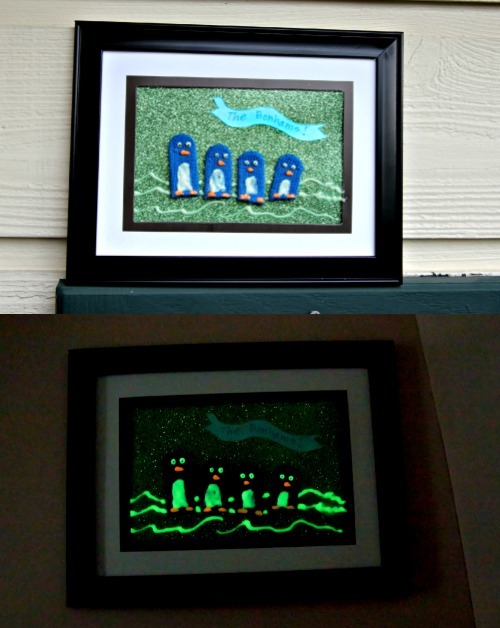 This Penguin Family Portrait is the right combination of simple yet fun, using materials from the dollar store combined with Aleene's Clear Gel Tacky Glue and Puffy Paint Glow. And did I mention it glows in the dark? 1. Remove the back of the frame, take contents of frame out, remove and discard the glass (or save for a future project). 2. 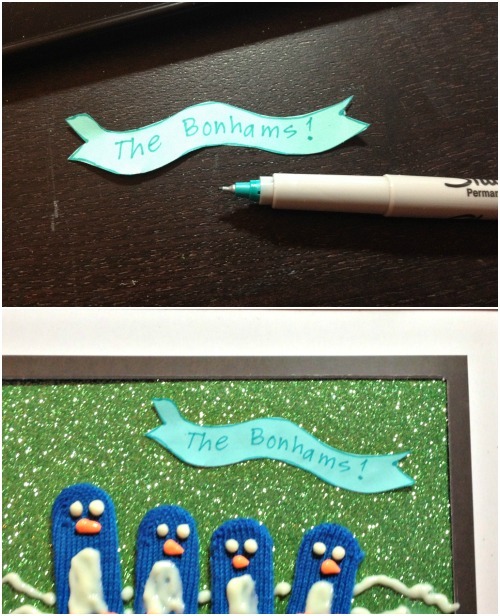 Using the paper frame insert as a template, trace onto scrapbooking paper and cut out. This becomes your background. 3. Trim the fingers off of the magic gloves until you have enough digits for each member of your family. 4. 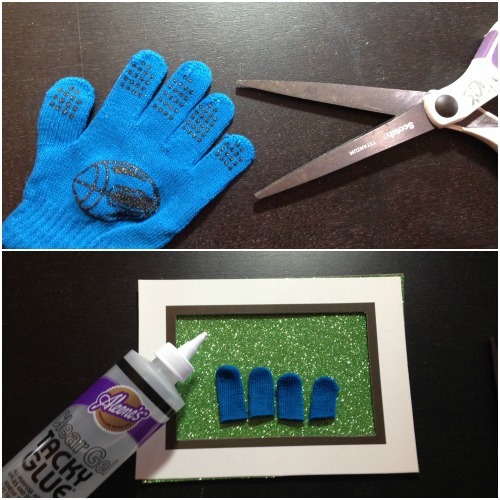 Glue glove fingers onto background with Clear Gel Tacky Glue. 5. 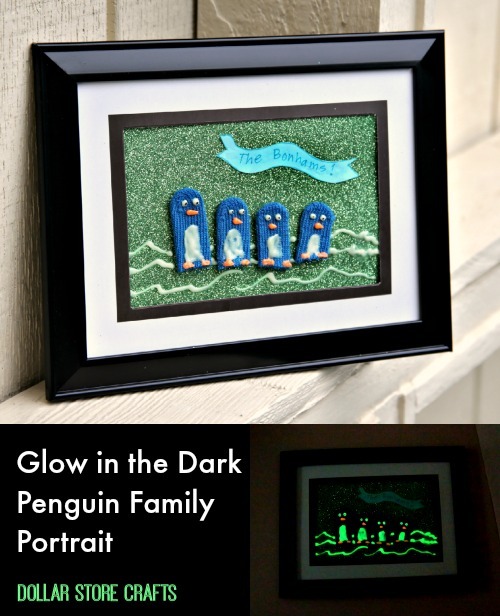 Add penguin tummies in Puffy Paint Natural Glow. Add dots of Puffy Paint for eyes. 6. 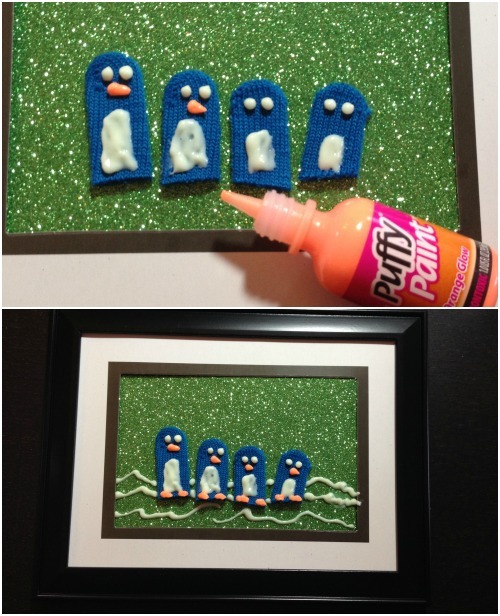 Add penguin beaks by dotting Puffy Paint Orange Glow, and pulling out to taper the beak to a tip. 7. Add penguin feet with the Orange Glow as well. 8. 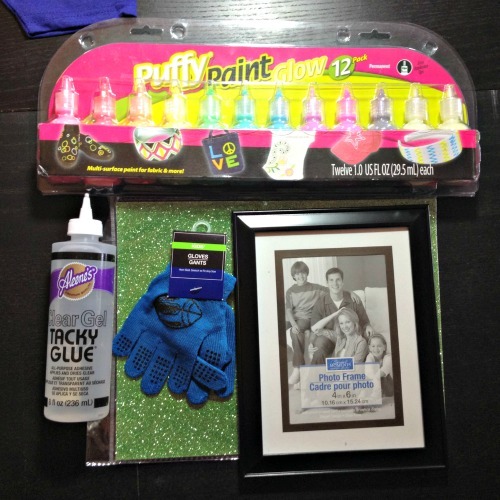 Add background details with additional Puffy Paint. 9. Draw a little banner with the family name on it. Cut out and glue on with Clear Gel Tacky Glue. Allow all the paint and glue to dry (several hours or overnight). 10. When it's all dry, add pupils to the eyes with a black permanent marker. 11. Insert the picture into the frame. All done! Don't forget to see how it looks in the dark! 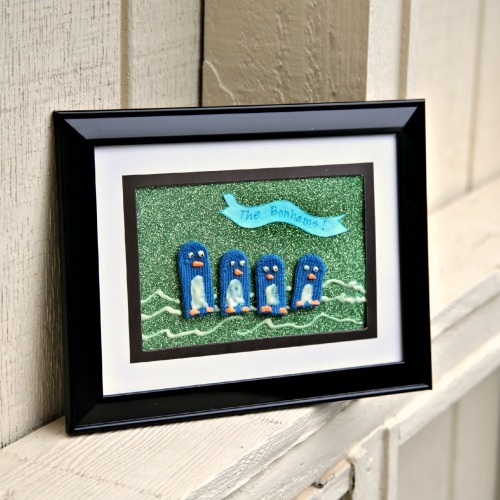 For more Dollar Store Crafts, visit me at DollarStoreCrafts.com! Heather is the founder of craft blog DollarStoreCrafts.com and author of the book Craftfail: When Homemade Goes Horribly Wrong. She has appeared on Good Morning America, the Martha Stewart Show and was featured in the New York Times and All-You Magazine. She lives in Salem, Oregon with her husband and four sons.